It's amazing to think since it's opened up to now we hadn't visited Beer Shack over in Hucknall but a choice training run for Jemma and I took us past on Saturday morning. It was part of a 12.5 mile run so I felt it only right to ask Jemma if she fancied a beer that evening in lieu of her efforts. 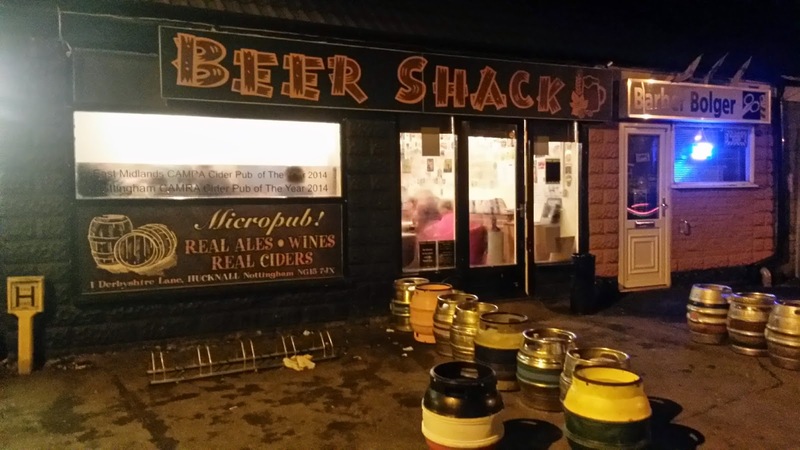 So that evening we drove out to Hucknall (Although I only had a half as driver) to sample the delights that Beer Shack had in store for us. It's nothing more than a shack on the outside but when you're out in search of real ale it's easy to look past such insignificances. We went for a Milestone Chocaholic, and Shefford Brewery Plum Mild to start with. 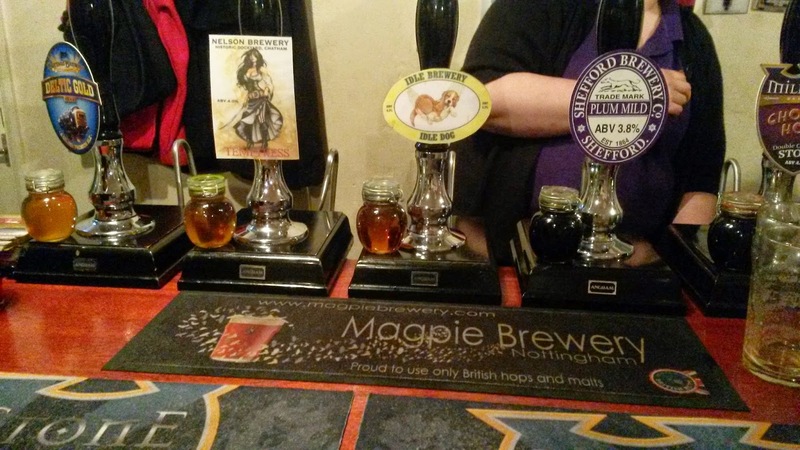 Both were lovely dark ales with the Plum Mild having a lovely fruitiness. The Chocoholic was a very nice pint as well. 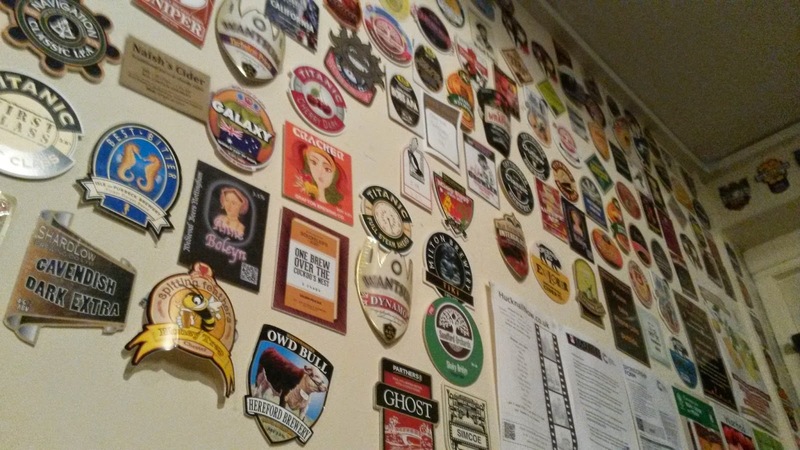 By the time went left Jemma had sampled every one of the real ales on the bar which is the beauty of a micropub like this. If you're happy to put bravado aside and drink half pints it's easy to sample the selection on otffer and find out just what you like. Beer Shack also has a great atmosphere. Despite not being locals we had a plethora of people asking us questions whether it was on if we were animal lovers (Which helps when the pub is dog friendly) and our love of real ale so it was definitely an environment we would return to.